Lowrance Elite 7 HDI: The Lowrance’s new product has two main tools one is for finding fishes and other for navigation, these Chartplotters / fish finders have been included in by the company. With an 800×480 pixel 7-inch display you get an extra clear view from the 3D SONARS or GPS mapping packages and Broadband. The display is really a thing which is worth the price. With this being said, on comparing it with the screen of an iPad Mini it is just a little bit smaller. HDI technology means that the power of two imaging systems joined together is in your hand which distinguishes clearly between fish structure and arches and shows the bottom clearly. Both high-resolution Down Scan SONAR and Broadband SONAR can easily be viewed on this Lowrance Elite-7 HDI , this transducer, which is nearly equal to any other transducer in size, can be installed quite easily; so that you may get to see echoes from the broadband SONAR with echoes of high-resolution 3D SONAR. Track-Back feature lets the user review the sonar history so that the user can go back and check the SONAR readings to make it clear that he hasn’t missed anything at the same time if he has GPS on, the company’s elite 7 HDI fish finder will also provide him back with directions back to the spot, in case if he has missed something. Lowrance Elite 7 also contains the trackback feature and has efficient and accurate internal GPS; it also comes with a built-in base map which is compatible with Navionics® Gold, Fishing Hotspots® Pro and can be updated with the help of built-in microSD card which also waterproof. 455 kHz: With this frequency, you can get deeper and wider imaging coverage. 800 kHz: With this frequency, you get an enhanced view of the targeted or selected location. 83 kHz: With this frequency, you can easily explore locations at higher speeds and in deeper water. Lowrance Elite 5 HDI has the same transducer frequency like Lowrance Elite 7 HDI Fish finder and can send sonar to a depth of 2500 feet and can work efficiently at 70 mph speed. For GPS it has a support for microSD and microSDHC card, it also consists of internal GPS which is quite accurate. Waypoints can be marked so that you may get to know where the big fish was and where you caught it. This marking feature comes built-in with Basemap or Navionics. Basemap is a very simple map and it isn’t fully reliable to be used for navigation. If you are thinking to do chart plotting heavily, you would have to include an additional charting package. Navionics Gold Charts display outlines like a paper-chart and is able to show whole continents and on zooming it will still provide your location with accuracy up to nearly 3 feet. The big 7-inch screen gives you a view of many things on the screen for your comfort. You can view Broadband SONAR, DownScan SONAR at the same time or you can view them separately, and you can also give a view to charting alone or you could view it in combination with others or with any one of DownScan SONAR or Broadband SONAR. The view also allows you to compare the readings of DownScan and Broadband SONAR next to each other or you can view all the three things at once. An option is also available in the menu to adjust the panel’s size which by default gives every panel equal size, but you can easily change the view of one to see it a little bit more bigly. 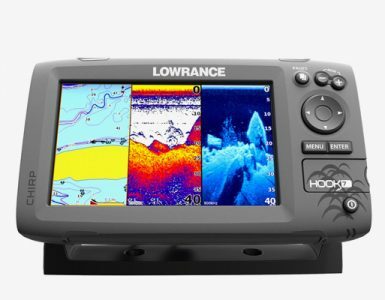 The Lowrance Elite 7 HDI fish finder can easily be used with a single hand or with just a thumb while holding it in your hand as its entire buttons are located at the right side of the screen. So that you can have your one hand on the motor or wheel and you can use the Lowrance elite 7 HDI combo with the other hand. 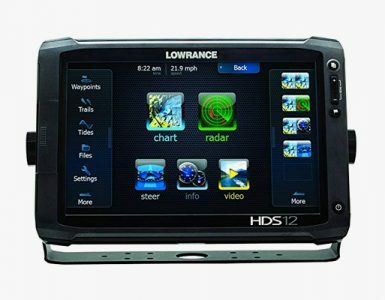 Lowrance Elite 7 HDI fish finder has the one-year limited warranty and is supported by Lowrance – advantage service program. 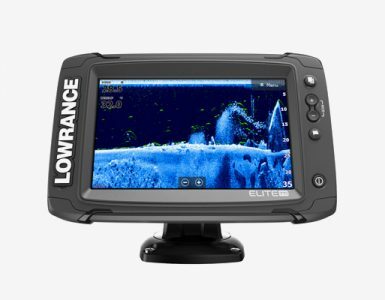 The Lowrance Elite 7 HDI Fish Finder is a bridge among the higher-end Lowrance HDS series and Lowrance Elite series. In past, the capability to have mutually DownScan SONAR and Broadband SONAR was only included in the HDS series units. 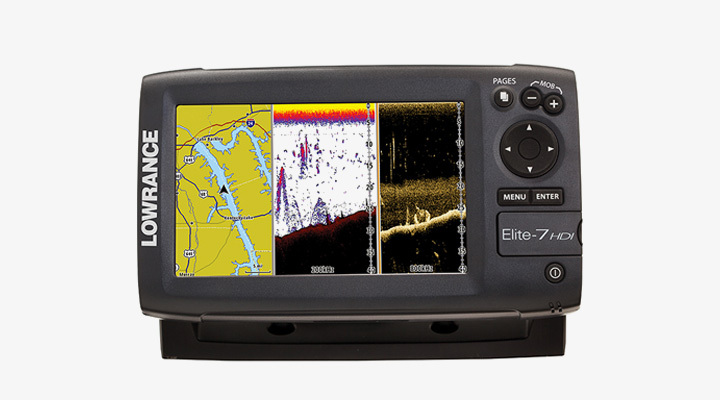 In present, the Elite 7 HDI Fish Finder has a larger screen which is quite bigger than Lowrance HDS 7 other than this it also provides you with mapping technology and SONAR technology which is also available in HDS, but it has been added to Lowrance Elite 7 HDI at a lower price. If you are not interested in buying high-tech networking features of the HDS Series but you want to really buy DownScan and Broadband SONAR then Elite 7 HDI would be the excellent choice for you and you can easily buy it. I have shown more fish finder reviews at my site, which are highly recommended by customers, I wish you will have greatest fishing time by selecting the best fish finder.